I have a saying that I use a lot in my Program, it goes "Calories matter but hormones matter more". You see, hormones play a pivotal role in whether one increases or decreases fat loss. More than the total amount of calories your consume (or burn). Sure, the popular hormones like growth hormone and testosterone play a big role when it comes to fat loss. But there are two other hormones that play a much larger role in determining our body fat levels. These are the true star performers of the show. And you may have never heard of them before. They are leptin and ghrelin. The big players in the game of fat loss. Have these guys working in your favour and you'll drop body fat in no time. Have them working against you and no matter how hard you train or how little you eat, you're going to struggle reaching your fat loss goals. Note: Looking for the quick one page guide with all the key takeaways? Download a FREE guide to leptin HERE. Leptin is a hormone in the body that has powerful effects on hunger and feelings of fullness. When you eat a meal, the body releases leptin. Increased levels of leptin reduce your appetite. In a healthy body, high leptin equals no appetite. After your body has digested all the food, leptin levels will drop down and another hormone called ghrelin is released to make you feel hungry again. An interesting fact about leptin is that it is secreted by fat tissue. The fatter the individual, the higher their leptin levels. This makes leptin the perfect feedback system of the human body to keep our body fat levels down. If we get fat, the body produces more leptin to help us eat less. It's a system that should stop us from over eating and getting sick and fat. But If More Body Fat Equals More Leptin...? I know what you're thinking. If more fat mass leads to more leptin production, and more leptin helps us eat less food, then why are people getting fatter and fatter and eating more and more? Well, just how people can become insulin resistant, people can become resistant to leptin. Meaning leptin is present in the body, but the body doesn't recognise its presence. Years and years of poor diet and lifestyle choices (which I'll cover below) cause high levels of leptin known as hyperleptinemia. 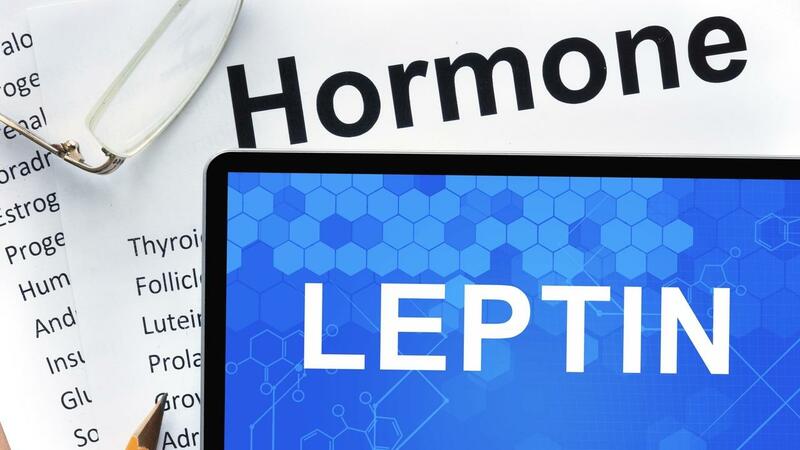 Hyperleptinemia causes leptin to become less effective at controlling appetite. A horrible situation to be in, you eat, and yet you never seem to satisfy your appetite, leading to more and more food consumption in a very vicious cycle. I should point out that chronically low calorie intake can also lead to leptin resistance (another reason to avoid low calorie diets). Under-eating can cause the same problem. No not gremlins, ghrelin (pronounced grey-lin or grel-in depending on who you ask). Ghrelin is the hormone that sparks your appetite when leptin levels drop off. Low leptin equals high ghrelin. High ghrelin equals high appetite. Quick Tip: Think to associate ghrelin with a 'growling' stomach. That should help you differentiate ghrelin and leptin. Unfortunatley, if the body is in a state of hyperleptinemia (chronically high levels of leptin) then this can create habitually low levels of ghrelin. You may think that this is a good thing. Long term low levels of ghrelin should mean less appetite right? Well, no. What actually happens is that your body (your hypothalamus to be exact) becomes so sensitive to ghrelin, that even when tiny amounts of ghrelin are released, you become very hungry, very fast! A rather horrible situation to be in. Your bodies inbuilt fat control system is broken...You're fat and you can't stop eating...Sound familiar? Many factors contribute to leptin resistance. And like insulin resistance, it takes time to manifest - it's not an overnight issue. Eating caloric dense but nutrient sparse foods (think doughnuts, cookies, vegetable oils, most processed foods, energy drinks etc). Broken circadian rhythms and poor sleep cycles. Not eating quality food when you are hungry. Eating a standard western diet (lacking in key nutrients). If you are, or have ever been, overweight, obese, been on extreme diets, or chronically overeat (perhaps you went on a bodybuilder style ‘bulking diet’), then, yes. 2) More than 50% of the above list applies to you. If you have a hard time controlling your appetite, a hard time stopping excess food intake despite eating a lot, this is another good sign that you're leptin resistant. How Do I Fix This Mess? I Want To Lose Fat! Like insulin sensitivity, leptin and ghrelin sensitivity can be improved through dietary, lifestyle and environmental changes. Unfortunatley, it's not a simple solution. There is no magic pill to improve the situation. It does need dietary and lifestyle changes. But done properly, you can fix the mess you have gotten into. I have a complete Program that fixes all these issues plus more. It helps you improve your leptin sensitivity and drop body fat. You can learn more about The Program here. Listen to your body - eat when you are hungry. A big part of health and fat loss is addressing hormonal imbalances (such as leptin resistance). Remember 'calories matter, but hormones matter more". Fix the hormones and life becomes so much better! As I mentioned above, leptin resistance isn't only a result of a poor diet. Lifestyle factors like stress and poor sleep play a huge role. To fix leptin resistance you must improve your sleep. Poor sleep contributes to fat gain. This is why I put so much emphasis on sleep in The Program. When this happens, leptin creates a surge of fat reserves to be released for energy. Your thyroid is up-regulated, boosting your metabolism. At the same time, your mitochondria start burning this fuel to maintain a stable body temperature throughout the night. All this fat mobilization and burning happens effectively when you are sleeping a solid 7-9 hours a night. Elevated insulin (from big meal too close to bed) can shut down this process, along with exposure to artificial light at night. Produces ghrelin, which stimulates appetite and down regulates the feeling of fullness. Making you overeat the next day. Lowers sensitivity to dopamine, serotonin, and neurotransmitters (less ‘feel good’ feelings), leading to depression. Also, when you are low in these hormones, the body craves junk foods for a ‘pick me up’ dopamine boost. Eating these foods when you don't need them contributes to leptin resistance. Hence why prioritising and fixing your sleep is a crucial step to addressing leptin resistance issues. I know it can be a lot to get your head around. Hopefully you'll move away from the 'eat less and exercise more' school of thought around fat loss. If you are looking for a complete solution that not only addresses leptin resistance, but helps fix all hormonal imbalances, then be sure to check out The Program. The Program includes an 8 week leptin reset diet, lifestyle plan, sleep guide, supplement protocol and training program designed to reset the bodies sensitivity to leptin, drop fat and improve the way you look and feel. Alternatively, if you would like to download a simple 'one page' overview of this article click HERE. Stick it on the fridge as a reminder to keep you on track. Send it to loved ones who may have a leptin issue. Or simply use it as a reference guide to improve your health and waist line!